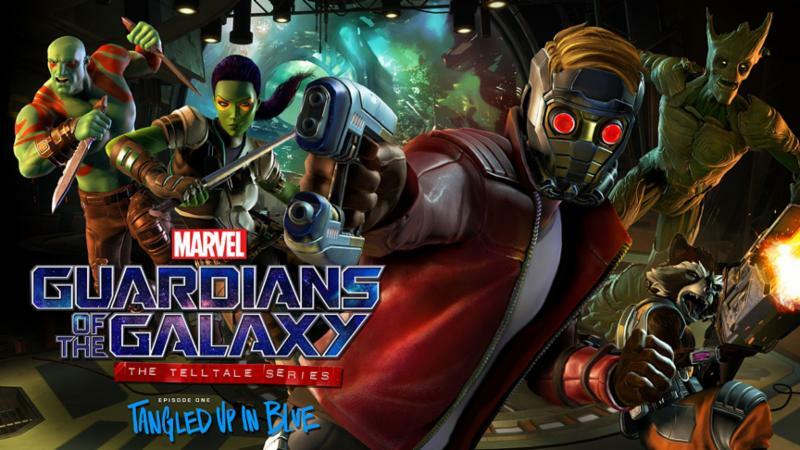 Today we are excited to reveal the official launch trailer for Marvel's Guardians of the Galaxy: The Telltale Series, which is set to premiere the first of five episodes on April 18th for $4.99 USD or equivalent on PlayStation®4 computer entertainment system, Xbox One®, Windows PC, and Mac, as well as available to download on the App Store® and Google Play™. The series will also be available as a special 'Season Pass Disc' on May 2nd at retailers across North America for an MSRP of $29.99 USD, and on May 5th at retailers elsewhere across the globe. The special 'Season Pass Disc' will include Episode One: Tangled Up in Blue, and will grant access to download the subsequent four episodes via online updates as they are released in the coming months of 2017. Additional platforms for release are yet to be announced.